Your flights have been confirmed, your holiday plans are firmly under-way, it's now time to undergo the task that most people associate with hard-work; finding Heathrow airport parking. With BCP, booking your airport parking couldn't be easier. See our full list of Heathrow Airport Car parks in the table below or, if you know the terminal you're flying from, we have a quick summary of each terminal. Fortunately, there's no shortage of choice when it comes to Heathrow parking and with our varied parking deals, we are confident we have all your needs covered. Whether you're after the convenience of on-airport parking or the ultimate in time-saving with Meet and Greet, by comparing our deals and booking early, your parking at Heathrow can be surprisingly cheap. At BCP you are guaranteed great value-for-money whilst still receiving an excellent service. See our airport parking advice for some handy tips on how to pick the best service for you. You will be surprised to know that by booking your Heathrow hotel and parking as a single package you could save yourself even more money. A night in an airport hotel is ideal for those with unsociable flight times, allowing you to spend a few extra hours in bed rather than on a bustling motorway. Why not take a look at our airport parking FAQ's for further information on Heathrow airport parking? It's no secret that Heathrow is the busiest airport in the UK and with 5 different terminals to fly from, airport parking can understandably become quite baffling to even the most frequent of travellers. Our comparisons below detail the parking options available to you at each of the 5 terminals. Here at BCP we aim to make it as easy and hassle-free as possible for you to not only find but also book the car park that is right for you. For help choosing parking at Heathrow Terminal 2, take a look at our quick guide below. Official: The Long Stay car park is ideal for on-site Heathrow parking at terminal 2. Transfers are relatively short at approximately 10 minutes. However, it is good to be aware that the bus also serves terminals 1 and 3, therefore you may have to sit aboard the bus and visit these terminals before reaching your own. Please note, however, BCP are unable to offer this service at present. Closest: NCP Flightpath is a brilliant alternative worth considering for your Heathrow parking at terminal 2; it takes just 8-12 minutes to get to check-in. Off-site: With off-site car parks offering a shorter transfer time than some of those on-site they really are worth considering for your Heathrow parking at terminal 2. Purple Parking Business offer transfers to the terminal that only take approximately 7 minutes. If you're looking to save a few pennies Good to Go Park and Ride is a brilliant budget option. No transfer: For parking at terminal 2 that involves no transfer, Good to Go Meet and Greet is the choice for you. Park in the designated arrival parking bays and walk to check-in. Not sure what car park to choose at Heathrow Terminal 3? Use our quick guide below for a helping hand. Official: The Long Stay car park is ideal for on-site Heathrow parking at terminal 3. Transfers are relatively short at around 12 minutes. However, you should note that the bus also serves terminals 1 and 2, therefore you may have to sit aboard the bus and visit these terminals before reaching your own. Please be aware however, BCP are unable to offer this service at present. Cheapest: Good to Go Park and Ride offers the cheapest option for Heathrow parking at terminal 3 and transfers only take approximately 15 minutes. Closest: NCP Flightpath is a great option to keep in mind if you want Heathrow parking close to terminal 3. Transfers only take 8-12 minutes so you'll have more time to relax before your flight. Off-site: With off-site car parks offering short transfer times and affordable prices they really are worth considering for your Heathrow parking at terminal 3. With easyHotel Parking you're just a 15 minute transfer away on the Heathrow Hoppa. No transfer: For parking at terminal 3 that involves no transfer, Maple Manor Meet and Greet might be the perfect option for you. Park in the designated arrivals parking bays and walk to check-in. Help to make your choice for parking at Heathrow Terminal 4 a lot easier with our information below. Official: The Long Stay car park is ideal for on-site Heathrow parking at terminal 4. Transfers are short at approximately 5 minutes. Please note, BCP is unable to offer this service at present. Closest: Looking for Heathrow parking at terminal 4 with a short transfer time? 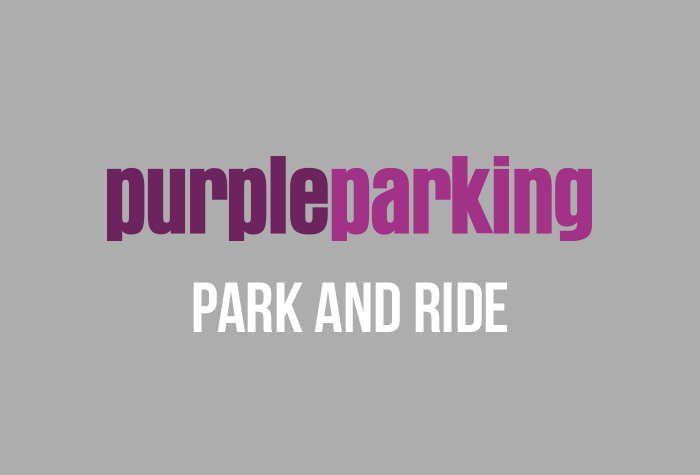 Purple Parking Park & Ride T4 might be just what you're looking for. It's just a 8-12 minute transfer ride to check-in. Off-site: Parking off-site is a great way to save money on your Heathrow parking for terminal 4. 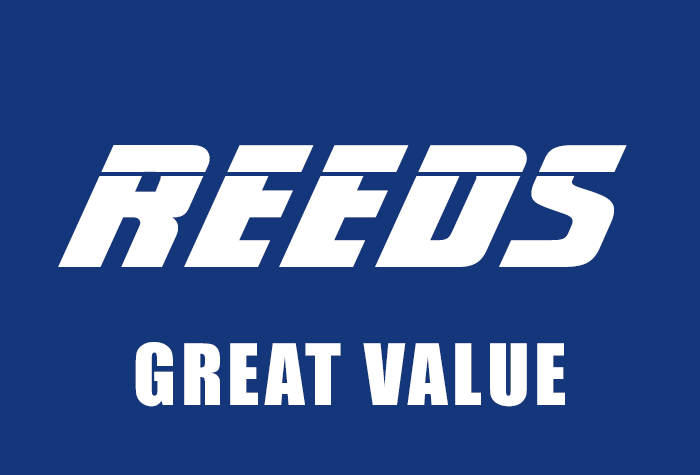 Why not check out Reeds Service Park; affordable, great security and only a 20 minute transfer to T4. No transfer: For parking at terminal 4 that involves no transfer, Meteor Meet and Greet could be ideal. Park in the designated valet parking bays and walk to check-in. Choosing the right Heathrow airport parking terminal 5 is easy with our quick guide below. Official: The Heathrow Long Stay car park is ideal for on-site parking at Heathrow's terminal 5. This official car park is well sign-posted and only a 5 minute bus transfer from the terminal. Please note, however, BCP are unable to provide this service at present. Closest: Good to Go Drop and Ride is a very worthy alternative for your Heathrow airport parking terminal 5, as transfers can be as little as only 10 minutes. Off-site: Choosing off-site Heathrow parking for terminal 5 is a brilliant way to save money and with some transfers taking just 10 minutes you can't really go wrong. Be sure to take a look at Business Park and Ride Heathrow and Purple Parking Park and Ride T5. No transfer: For Heathrow parking at t5 that involves no transfer, Maple Manor Meet and Greet is what you're after. Park in the designated valet parking bays and walk to check-in. From the 30 June 2015, Heathrow Terminal 1 will be permanently closed. Despite the closure, you can still search our best deals on airport parking and hotels at all other Heathrow terminals. With no shortage of parking at Heathrow Terminal 1, our quick guide below will make the decision easier. Official: The Long Stay car park is ideal for on-site parking at Heathrow terminal 1. Transfers are relatively short at around 7 minutes. However, you should note that the bus also serves terminals 2 and 3, therefore you may have to sit aboard the bus and visit these terminals before reaching your own. Cheapest: Park Wise Heathrow offers the cheapest option of on-site parking and transfers only take approximately 6 minutes. Closest: Heathrow Business Parking is an alternative worth considering as it's the closest car park to the terminal. Similarly to Long Stay, the bus drops at terminal 2 and terminal 3 as well, however, transfers only take around 5 minutes. Heathrow Business Parking Plus only serves parking at terminal 1, it is a good choice for ultimate time saving, a space is ready for you upon arrival and transfers take just 3 minutes. Off-site: With off-site car parks offering a shorter transfer time than some of those on-site, they really are worth considering. Purple Parking Business offer transfers to the terminal that take approximately 6 minutes. No transfer: For parking at terminal 1 that involves no transfer, Official Heathrow Valet Parking is exactly what you're after. Park in the designated valet parking bays and walk to check-in. You may be surprised to know that Heathrow airport parking can be remarkably low-cost. Booking in advance will really help to keep prices down, while our non-amendable, non-refundable packages can ensure the cheapest airport parking. If you're booking Long Stay Heathrow parking, you may be able to opt for Long Stay SuperSaver, and customers for Business Parking may want to choose Leisure Special for a cheap on-airport parking deal. Neither of these packages can be changed or cancelled, but they will crop off a few more pounds from our normal discounts. Heathrow Meet and Greet services are perfect if you're after an effortless start to your holiday and, let's face it, who isn't. With this Heathrow parking option you can enjoy the luxury of being greeted by a chauffeur at the airport terminal who will park for you, allowing you to simply walk to check-in. A perfect way to allow more time for your journey or for you to enjoy the airport facilities before your flight. Your car will be returned for you upon your return. Absolutely hassle-free from start to end, you won't a find a more convenient service if you try. It's an ideal choice if you'd rather not have to search for a space, or you have a lot of luggage. Meet and Greet could be the perfect solution for your Heathrow airport parking needs. BCP offer two different Heathrow Meet and Greet packages. Parking at LHR Meet and Greet and Official Valet Parking Heathrow is available at all terminals and is designed to make your pre-holiday parking as relaxed and easy as possible. You just drive to your terminal and hand over the keys to a friendly-faced chauffeur. With no transfer bus to wait for, it's the speediest form of Heathrow parking. LHR Meet and Greet is very competitively priced against some of Heathrow's on-airport park and ride options, making it excellent value for money. It's also an ideal choice if you're travelling with large items, such as sports equipment, as sometimes these cannot be taken onto the park-and-ride transfer buses for space and safety reasons. On-airport parking is ideal for those who want the convenience of being close to the terminals, however, as all of the on-site car parking at Heathrow have a park and ride service our off-site car parks are worth considering as they can hold the key to finding cheap Heathrow airport parking with often similar if not less transfer times. Both on-site and off-site car parks at Heathrow are easy to use with regular transfers that make them efficient as well as economical. 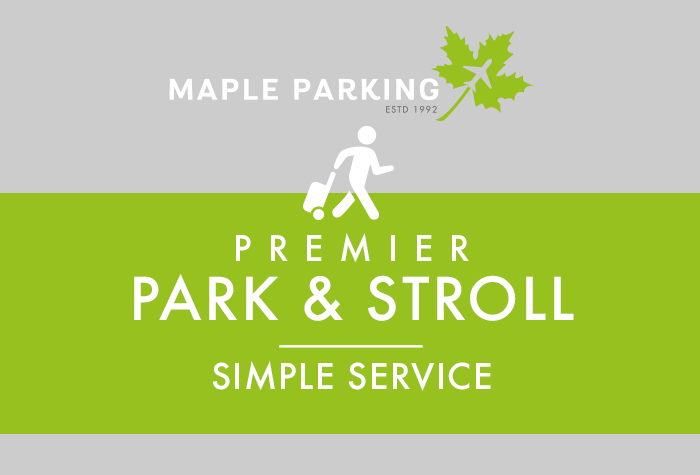 With the choice of car parks and offers we have available you are sure to find a car park that best suits your needs. Long Stay parking is the cheapest of all on-airport car parks. There are Long Stay car parks serving all of Heathrow's terminals, but it's especially worthwhile if you're looking for parking at Heathrow terminal 5, providing the fastest transfer and the cheapest price. Our non-amendable and non-cancelable Long Stay SuperSaver offer can save you even more money. Serving all terminals, Heathrow Business Parking is by far the fastest choice, particularly for parking at terminal 4; transfers run every 2 minutes and take just 3 minutes to get to the terminal. Heathrow Business Parking Plus only serves terminal 1 and with only a three-minute transfer that runs on demand, it's quick and reliable. Although it cannot be changed or cancelled once booked, Leisure Special Parking provides a cheaper alternative to Heathrow Business Parking. Park Wise Heathrow is the cheapest option of on-airport parking and serves terminals 1 and 3, with transfers taking between 6 and 12 minutes. Purple Parking Business, (formerly Heathrow Quality Airport Parking) is the cheapest park-and-ride service and only takes between 5 and 8 minutes to get you to any Heathrow terminal - less than some of the transfers from on-site parking. For a few pounds more, Click Park Heathrow takes just 3 to 4 minutes and serves parking at Heathrow terminals 4 and 5.